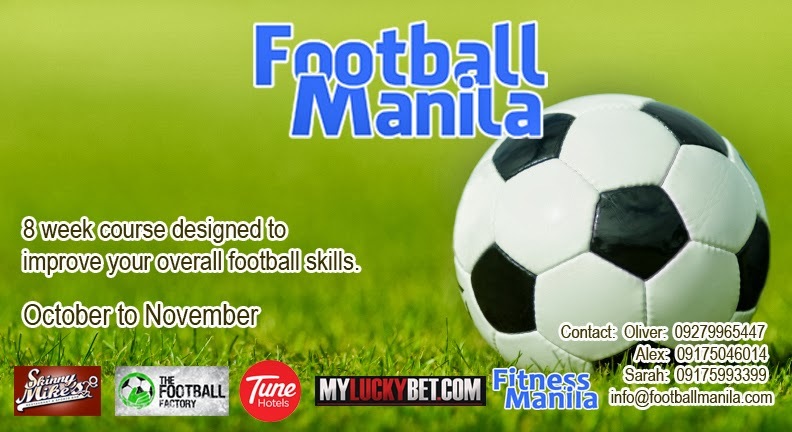 Learn football or brush up your soccer skills through Football Manila. Training starts on October 9, 2013 from 6PM to 8PM at the Bonifacio Global City Turf. FA trained coaches and UFL or Azkals players will teach you. Take this opportunity to learn football or improve your current soccer knowledge. Meet new friends, earn exciting prizes, and find out how much you’ve progressed through a scoring system. Beginners and intermediate players are invited to join. It will cost Php2800 only for 8 sessions. Visit www.facebook.com/FootballManila for more information.